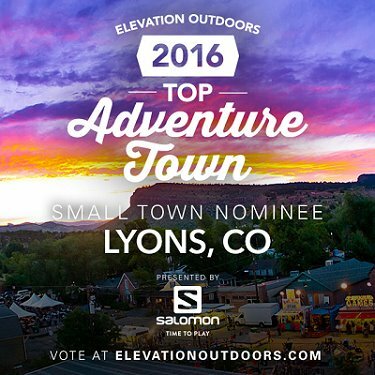 Lyons Made it to the Final Round - Last Chance to Vote! As part of Colorado Municipal League's Cities and Towns Week, the Town would like to acquaint you with the Lyons Parks & Recreation department! The Halloween Parade, The Parade of Lights, Lyons Outdoor Games, Good Ol’ Days, Lyons River Run, Sandstone Summer Concert Series. 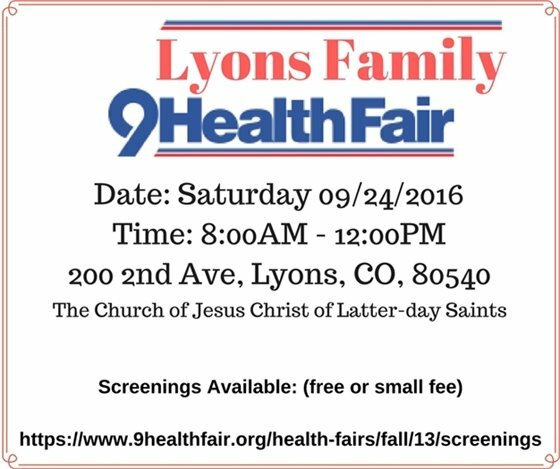 If you know and love any of these cherished Lyons events, you can thank the Parks and Recreation Department. The Town of Lyons Department of Parks, Recreation and Cultural Events oversees every facet of Lyons’ parks system, including planning and design, budgeting, operation and maintenance of all park equipment, facility maintenance and scheduling, turf management, snow removal in parks, athletic facility preparation, irrigation system maintenance and repair, landscaping, seeding/fertilization, weed control (including identification), forestry, trash pick up, signage, and capital improvement projects. Recreational programming and special events are also planned and implemented by the department, and a monthly Parks and Recreation newsletter is administered to keep Lyons residents informed of recent happenings. Since the 2013 Flood, Parks employees have worked non-stop to clear debris from the parks, write grants and find funding to support reconstruction efforts and work with the community to effectively plan for reconstruction of the Town’s park system. Although Parks receives 1% sales tax revenue, most parks improvements Lyons residents enjoy come from the millions of dollars in grant money staff seek out and apply for. 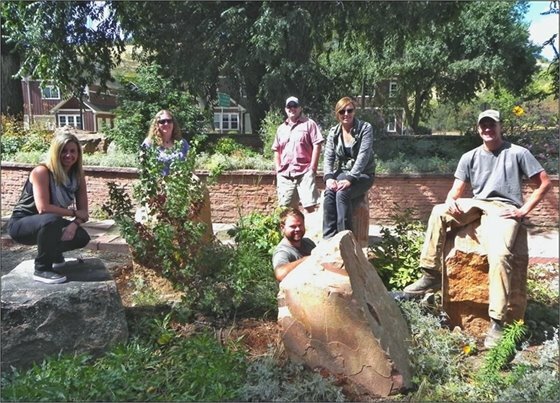 Sandstone Park, the Bohn Bark Dog Park, and the amazing new features at LaVern Johnson Park, are just a few of the many examples that illustrate how the Parks team works hard and takes pride in the community. Be sure to check out the new Fall/Winter Recreation Brochure for a list of upcoming programs and events. If you enjoy any of the parks amenities, programs, or events, let them know! Curb and gutter concrete machine pouring is complete; hand pouring and preparation of crosspan drainage swales throughout the project area are underway. Project leads anticipate this work to continue through Friday, Sept. 23. During this phase, street and front driveway access will be closed to all traffic, including residents, on weekdays from 7 a.m. to 5 p.m. This week, the contractors are working on the installation of raised islands at crosswalk locations along US-36. Project leads anticipate the islands to be poured within next 10 days. Landscaping continues along the north side of US-36. As the Confluence Area Capital Improvement Program and Main St. Streetscape projects undergo the final stages, the Town needs the community's support! Contractors continue to pour concrete throughout both projects, and though access is reopened regularly, the concrete requires additional time to cure. Ideally, concrete should cure for seven days, before pedestrian or vehicular traffic; concrete gains 80% of its designed strength within first seven days, and 28 days to reach its actual strength. The initial curing of the concrete slabs is an important element for longevity, as any penetrations can comprise its integrity and result in a shortened lifespan. Thank you for your help and continued patience. The end is in sight! Last month, Governor Hickenlooper signed a bill allowing Colorado residents to collect up to 110 gallons of rainwater for outdoor-irrigation. Previously, Colorado was one of the only states banning residents from collecting rainwater, due to concern regarding rainwater recollecting into the rivers and streams. A 2015 study by the Colorado State University's Urban Water Center and Colorado Stormwater Center found that residential rainwater storage will not affect surface runoff into rivers and streams. The water from your tap makes a much longer journey through extensive treatment, unlike the water that falls onto rooftops. Collecting rainwater for outdoor use (irrigation, watering and car washing) will also help reduce your utility bill. Ready to set up a rain barrel? Check out Conservation Colorado’s “Everything You Need to Know About Rain Barrels” to get started.